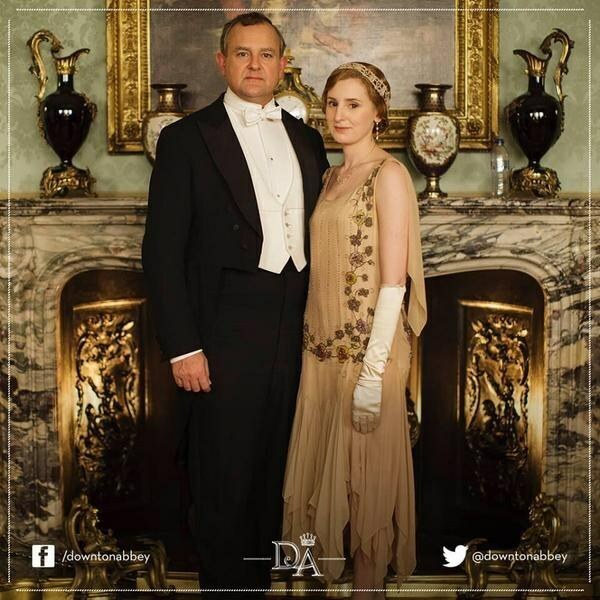 An eagle eye spotted this water bottle in a promo pic for Downton’s fifth series and it went viral. A gaffe, yes, but a modern fad? Not at all! 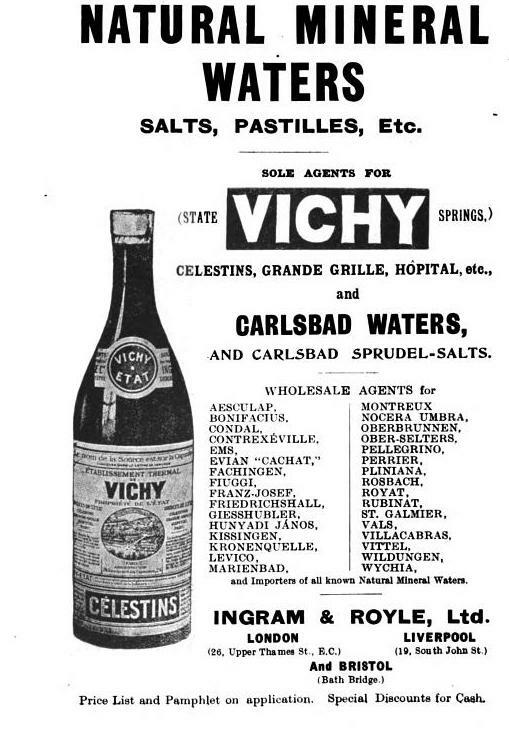 The late Victorian trend of visiting Continental spas for health, combined with the increasing athleticism of society, created a health craze that spilled over into food. Enterprising businessmen–such as St. John Harmsworth, brother of the Daily Mail’s founder Lord Northcliffe–latched onto something that hadn’t been done before: bottled water. Harmsworth founded Perrier, which he tagged “The Champagne of Table Waters,” thus emphasizing the chicness of drinking bottled water. 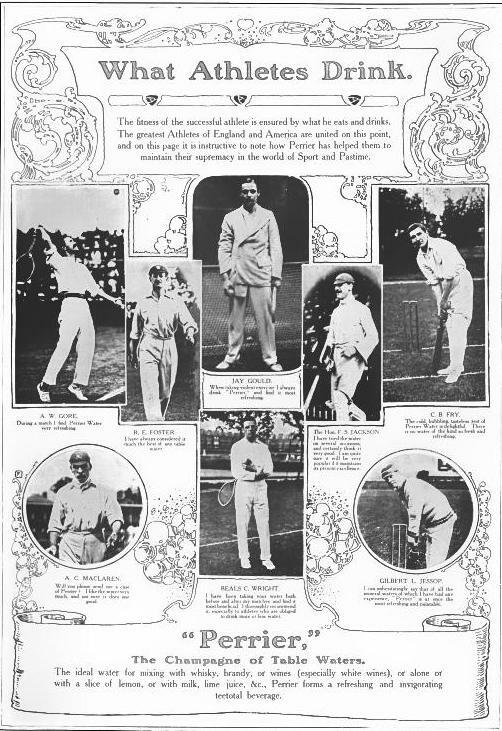 By the Edwardian era, multiple brands entered the market–many of them familiar names like the aforementioned Perrier, Apollinaris, and Scheweppes–each elbowing for supremacy using the latest in advertising tactics. « A Round-up of Downton Abbey News!